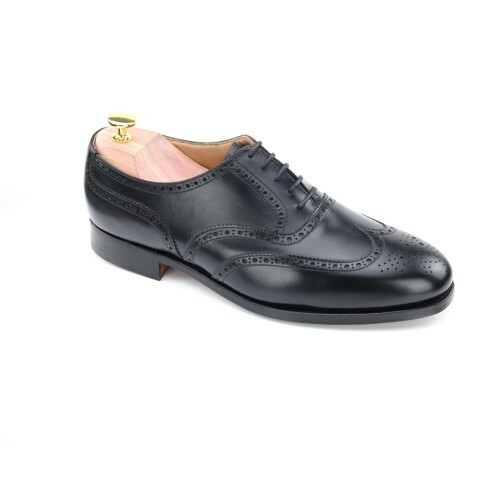 A classic full brogue, or wing-tip as it is known in the Americans, of sublime elegance. The Albermarle in Premium Black Calf is fully leather lined. The Albemarle is not a classic; it is the original. All other Brogues follow the superb authority of its template even its wing-tip variants in the Americas. Clean, direct and pure, this fully leather-lined shoe in black calf transcends fashion. It belongs to the ages now.